Many different kinds of businesses are considering steel prefab retail buildings for their retail operations and storefronts. The pricing and variety of designs make for an attractive decision. Traditional retail building construction can take months or years to complete. Buying a retail location is very expensive which makes for costly start-up costs. Not to mention you have very limited options for customization’s. Coastal Steel Structures custom prefab retail buildings can include steel, metal, brick, wood siding and many other external alternatives to add onto our steel framed prefabricated commercial buildings. How much can you save by going with a prefabricated building? Find out by receiving a FREE QUOTE for your businesses location. Learn Why You Should Choose Us! We Put Your Needs First! – Coastal Steel Structures is renowned for putting the customer first. We will provide you with customized service and make sure that you get a metal building that caters to your precise needs Our skilled staff will respond to any inquiries within 24 hours. – Coastal Steel buildings are cost-efficient, easy to erect, safe, durable and simple to maintain. 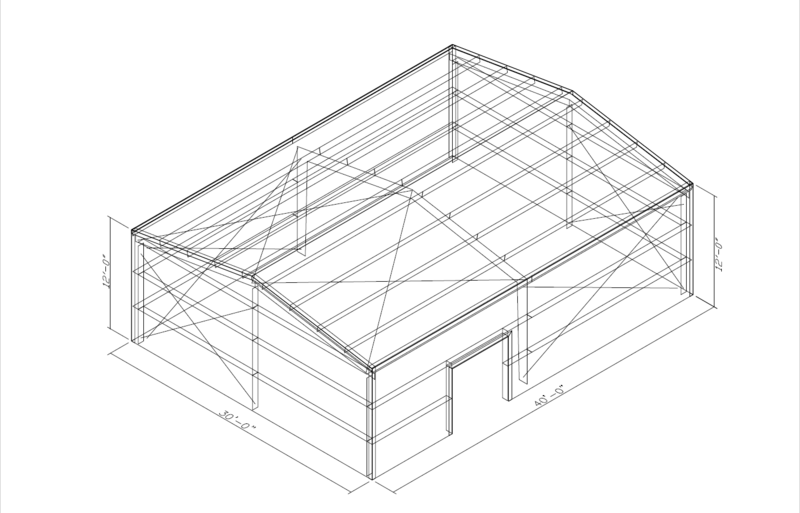 – We will deliver you a building that is optimized to your particular requirements. – All of our buildings are designed and crafted with flexibility in mind. They are a long-term investment that will be easy to adapt as your needs grow or shift. The team at Coastal Steel can engineer building plans for any states codes and load scales to meet any specifications for building permits. Our prefab retail buildings can be designed to your specifications and suited for your brand, industry or use. When you design a prefab retail building through one of our building designer, you can have it designed with any additional features you need to make sure it’s the best option for your soon-to-be retail customers. With our steel post-frame buildings, you can add on and expand your location to any size you may need in the future. Prior to ordering your steel retail building kit, decide what customized aesthetics and functions will appeal to your patrons and the activities that will be performed in the shop or store front. Will you need a drive through window? Do you need a garage or sliding doors? Do you require a lot of natural lights through skylights? Are you creating or assembling products within the store? Do you need a bay for accepting deliveries? Do you need additional storage space to store products? Do you need office space for administration purposes? Will you need product display space? An obvious feature a retail location will need is pleasing aesthetics. The appearance of your store will influence street traffic, telling them what you do or sell before they read your signage or step inside. Ceilings also adds a lot of character to a building. Higher ceilings will provide a person with a sense of luxury. Our prefabricated buildings can be customized to have vaulted ceilings, dry wall ceilings or suspended ceilings. The options we have for siding are abundant for any industry including retail business locations. You can choose to have any custom siding on our steel buildings. Additionally, our buildings are protected from corrosion and other elements by the Galvalume Steel which protects the building and your inventory. Your prefab retail buildings products and inventory will be totally safe and the building remains attractive and eye-pleasing to customers. In fact, they probably won’t even know the difference between your metal retail building and the traditional building materials used for other buildings. Prefab retail buildings from Coastal Steel Structures have been the solution to many retail operations throughout America. Since our steel structures are easy to assemble, you can have your facilities up and functioning in no time. If you live in a harsh climate and plan to store temperature-sensitive goods, our steel structures can be fitted with insulation that protects your goods from the elements, even during severe cold spells. Erecting a prefab retail building from Coastal Steel Structures is simple and time-efficient. If you prefer to hire contractors, we can help you to find a contractor in your area whom we have worked with in the past and can recommend. Why Coastal Steel Commercial Buildings Are The Best Option? Fast delivery, easy to assemble and the best warranties around. Coastal Steel Structures is an industry leader when it comes to metal buildings for any industry specialty including the retail industry. In fact, steel retail buildings are a top seller at Coastal Steel. Coastal Steel offers uncompromising quality and support, while offering the benefits of cost saving advantages. Industry wide difficulties in meeting increasingly stringent building codes are the driving force behind our Envelope Solutions. Envelope Solutions are designed to provide optimal overall energy performance for your building. We want to make complex building designs simple by helping you select the optimal roof and wall insulation system. Our technical support team will develop the right Envelope Solution for your project! When installed correctly Envelope Solutions provides a barrier to air leakage and contributes to a better airtight building. We provide not only custom fabricated insulation, facing and fabric, but also all necessary accessories and components to install your project correctly the first time. Reflective Insulation greatly increases comfort by reducing radiant heat gain. The barriers consist of a highly reflective material that reflects radiant heat rather than absorbing it. Our reflective insulation is effective used alone or in conjunction with fiberglass batts for optimal thermal performance. When it comes to metal buildings, it’s the little features you want to pay attention to. Gutters and downspouts are the first place you should start on your steel building. Gutters are essential to those that want to keep the weather out and protect their investment. Gutters and downspouts protect from water damage by diverting rainwater, melting snow and heavy condensation from the roof by diverting it elsewhere. Walking through runoff rain and water while entering your building is not the most tolerable way to enter you newly built prefabricated steel building. Failure to get gutters and downspouts can affect the quality and durability of your prefab building. You Will Protect Your Investment and Save Money. A lean-to building addition is very popular for many different reasons. Typically, a lean-to is an open roof cover that is attached to the main structure. Lean-to roof additions are typically between 8’ feet and 16’ feet wide. The lean-to is often the most popular option for inexpensive covered storage for homes and commercial metal buildings. Lean-to’s can be used for cars, boats, RV’s, farm equipment, firewood, dog kennels and more. Some lean-to roof covers have designated space for hot tubs, and back patios for BBQs and overall relaxation. When you’re designing your building, this is one addition you should take into consideration. Framed openings for prefabricated metal buildings can be ordered in any size you wish. The size you request should be the clear opening your building requires for the door or window/louver it’s intended for. Please take into consideration any shimming you’ll need to do when taking sizes into account. All openings are field-located unless it’s been noted otherwise within the order documents. Our team at Coastal Steel can help you go over measurements during the design phase. Certain load requirements require the use of hot-rolled structural channel. When this happens, pre-drilling will be required for attachment of the trim and panel. The jambs for framed openings will extend to the next standard girt elevation or eave strut above the height of the opening for door tracks being attached. Jamb extensions are provided if the door has a vertical lift which is specified up to twice the door height or the eave strut. Standard jamb designs can support roll up doors up to 2000 lbs. Coastal Steels metal buildings have a hot-dip galvanized steel frame. All primary and secondary framing members are zinc coated to outperform inferior paint primers used by other manufacturers. Our Zinc galvanizing process prevents rust and ensures a long life-cycle of performance. Coastal steel buildings are designed with a patented easy bolt-together connection technology, which compliments a sturdy bracing system for extra rigidity against wind and snow loads. All Coastal Steels Buildings are made in America, by American workers and with 100% American made quality steel. quality materials, skilled craftsmanship and cutting-edge technology are combined with a state-of-the-art manufacturing facility. Our buildings can be manufactured to several sizes, but we’ve listed some of the more popular sizes below. If you don’t see the size you’re looking for please contact us through the button below.